The January transfer window is fast approaching and managers will be looking to plug any holes in their teams. There has already been a huge amount of speculation, but often it is hard to know exactly what is going on. However, it is possible to look at who will be on the market. There are a number of players approaching the end of their contracts and who will be able to sign pre-contract agreements next year. Here we take a look at some of the biggest names that could potentially make the move to the Premier League. A number of Europe’s biggest teams are eagerly anticipating the end of Rabiot’s contract. It is known that Manchester City, Barcelona, Liverpool and Inter Milan are all interested in stealing the French midfielder from Paris Saint-Germain. Juventus are also thought to be interested in securing his services, but at present, Paris Saint-Germain are still working on persuading the youngster to stay where he is. Manchester City are desperate to sign a holding midfielder and they are at an advantage over their rivals as the team has already developed a relationship with Rabiot and his mother, who is also his agent. As a teenager, Rabiot spent a year on City’s books, but he was then allowed to return home to France as he was suffering from homesickness. While he did not last very long at Manchester City, the player is unlikely to have forgotten how welcome he was made to feel as a 14 year old in Manchester. On the other hand, Barcelona have already laid claim to him, so a battle may be ahead. Over the summer the Uruguay defender showed that he is just as aware of tactics off the field as on it when he used Manchester United’s desperation as leverage in negotiations with Atletico Madrid about a new contract. At the time it seems that his tactics worked and United were apparently left furious at being used in that way. However, Godin has not actually signed a new contract yet. This means that as the transfer window approaches, there have been reports that United, Godin and Atletico are at it once again. Godin is 32 so his next contract will probably be his last big deal. Therefore, he is most likely prepared to play the long game in order to discover just how much he can get Manchester United to spend on some much needed defence. Chelsea goalkeeper coach Christophe Lollichon recently said, “It is sad to see a club like PSG play a 40-year-old goalkeeper while you have a 25-year-old Areola who meets all expectations.” He said that he believes that the France goalkeeper is better than Hugo Lloris and that last summer he wanted to make a move to Chelsea. However, Areola stayed with PSG to work together with Gianluigi Buffon, and now the younger man has started more games than the veteran has. Buffon has a year left on his contract with PSG, but Areola’s will end sooner. PSG were known to have some doubts about Areola’s long-term prospects, but his form this season should have put them to rest. The question is whether they have left it too late to persuade him to sign a new contract. 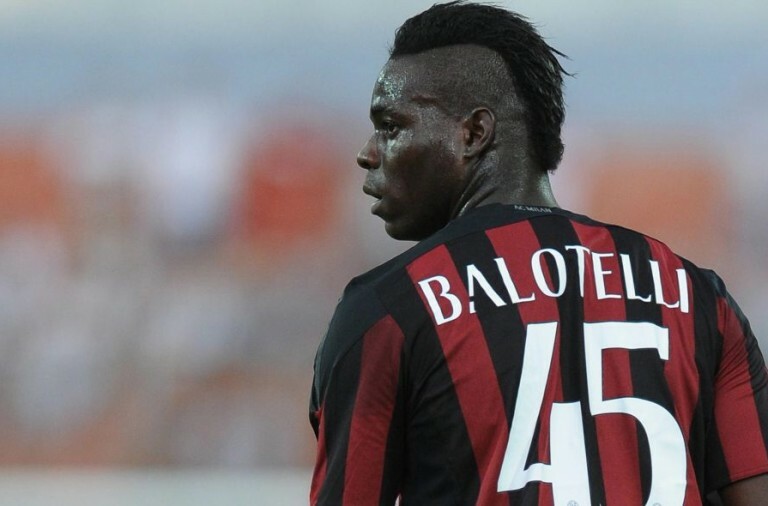 Furthermore, Chelsea isn’t the only team interested, Inter Milan have also expressed a desire to sign him. Porto star Hector Herrera has been capped 70 times by Mexico. Over the years, there has been frequent talk of him as an Arsenal target, but at present it seems that Arsenal have enough combative midfielders. Tottenham Hotspur have also been showing an interest in Herrera, especially as it seems that Mousa Dembele may be on the way out. Crystal Palace have also been keeping a close eye on the 28 year old. However, there is also a great deal of interest in Italy. Inter Milan are always looking to sign free agents, and Roma are also interested in a bargain. It has been reported that Herrera is most likely to move to Italy or stay in Portugal, but that certainly won’t stop Premier League clubs trying to tempt him to England. Louis van Gaal Sold Rafael to Lyon from Manchester United for reasons that not many people are clear on. However, he is now approaching the end of the four-year contract he signed with Lyon. Over the summer Rafael said that he was willing to extend the contract, but as the team also count Kenny Tete and Leo Dubois in their ranks, they are in a good position to haggle with him and he may not get the conditions he is hoping for. Rafael, who is 28 years old, has made the most starts of any of Bruno Genesio’s right-backs suggesting that he is at the top of the pecking order. If he were to leave Lyon it is thought that Lazio are the most likely to sign the Brazil international who has Champions League experience and three Premier League winner’s medals. For a while, Barcelona have been struggling to find a striker who can play as back up to the likes of Lionel Messi, Luis Suarez and Philippe Coutinho. El Haddadi, who has scored 11 goals in 53 appearances for Barcelona, has had no more luck doing this than Sandro Ramirez or Paco Alcacer. The club have offered him a pay rise, but not enough to make El Haddadi recommit and with other options at Barcelona, the club have a strong negotiating position. 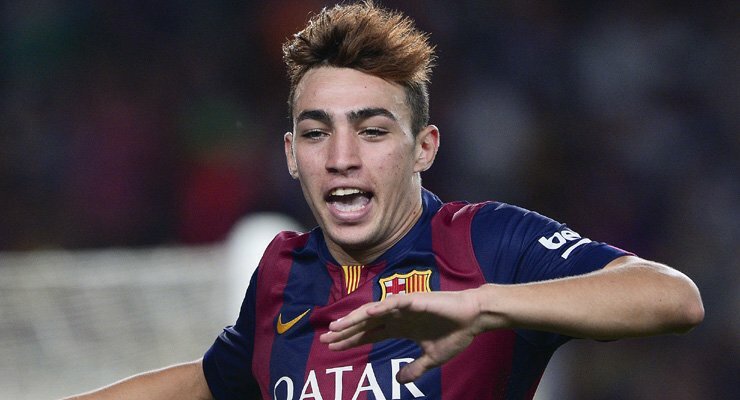 As a result, it seems most likely that El Haddadi is on his way out from Camp Nou. Already Udinese have been linked with him, and he was a regular on loan at Alaves last season. This season he has returned to Barcelona but he has had just 136 minutes and one start, the defeat to Leganes. In fact, the only time he has made headlines this season is when he refused to pay the £14,000 bill at his birthday party in September. Yacine Brahimi has attracted a great deal of interested from Premier League clubs with Everton, West Ham, and Newcastle amongst those linked with the 28 year old. Last summer it was reported that West Ham made a £30 million offer for Brahimi, which was accepted, but that the player decided to wait before moving. The Algeria international had an excellent season for Porto last year, scoring nine goals and creating seven more, but that is the closest he has ever come to breaking into double figures in a league season. Despite this, West Ham may make another bid in January before his contract expires and the competition really heats up. According to reports, there is already a huge amount of interest in Salvio, with Inter Milan, Roma, Lazio and Napoli all tracking the 28 year old. Inter reportedly consider Salvio to be a cheaper option to Fiorentina’s Federico Chiesa or Anthony Martial. Salvio, who used to play for Atletico Madrid, has scored 60 goals and provided 54 assists since he moved to Portugal in 2012. However, it is only in the last year that his national team has capped him. He began the World Cup as a starter for Argentina but following the disappointing defeat to Croatia, he spent the rest of the tournament on the bench. 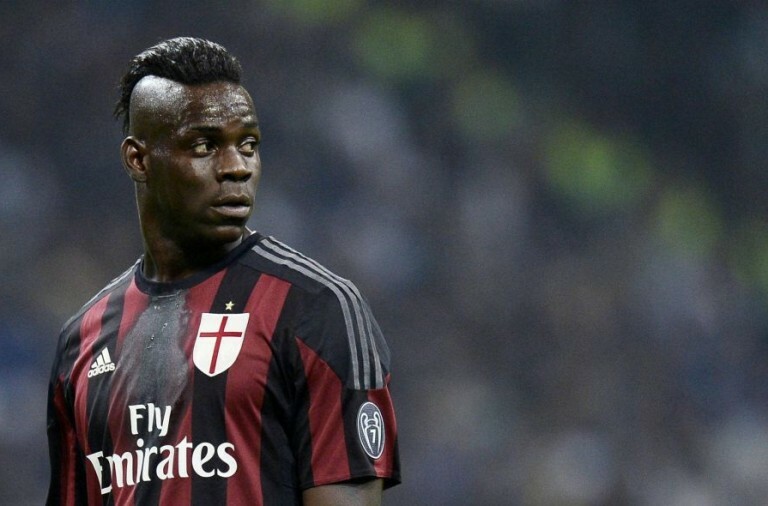 Balotelli is truly struggling this season and it is not certain that any team will be interested in signing him. The Nice striker is yet to score a goal or provide an assist this season. At the end of last month, his manager, Patrick Vieira, described his as being out of shape and he then said that his contribution to the 1 – 0 win at Nimes was “less than average”. 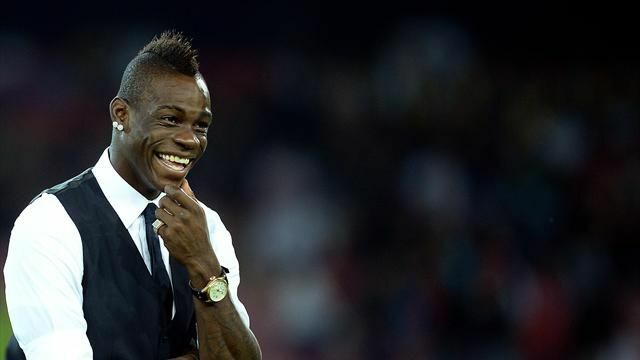 Balotelli was replaced 15 minutes before the end of the game and his departure from the pitch was met with jeers. Based upon his current form his career should be coming to a close, but in all likelihood, there will be a manager somewhere willing to sign him. There was a time when Alan Dzagoev was linked with teams such as Manchester United and Real Madrid, but recent seasons have seen interest in the Russian drop. It was expected that he would put in a strong performance at the World Cup, but a hamstring injury meant that he only played in the first and last few minutes of the team’s campaign. At the start of next season Dzagoev will already be 29 years old so if he is ever to leave CSKA Moscow then it will have to be soon. It is not clear how much interest remains in the player, and his recent injuries have certainly not helped him fulfil his potential. However, if he can remain fit, then there is every chance that an interested party will come along.